Rendering of Marin General Hospital, north view. Courtesy McCarthy Building Companies. In commercial building—as in virtually any industry—cost and schedule stand as the arbiters of success or failure of any project. Consequently, a strong general-contractor–subcontractor relationship depends on meeting budgets and deadlines. In the world before building information modeling (BIM) and cloud-based computing, contractual ambiguity was often a part of the process—a hedge against unanticipated hurdles in a project. But vagueness rarely inspires trust, and, prior to cloud-based coordination tools, unspecified project details often left general contractors and subcontractors on opposite sides of a dollar, communicating at arm’s length and averse to taking risks. 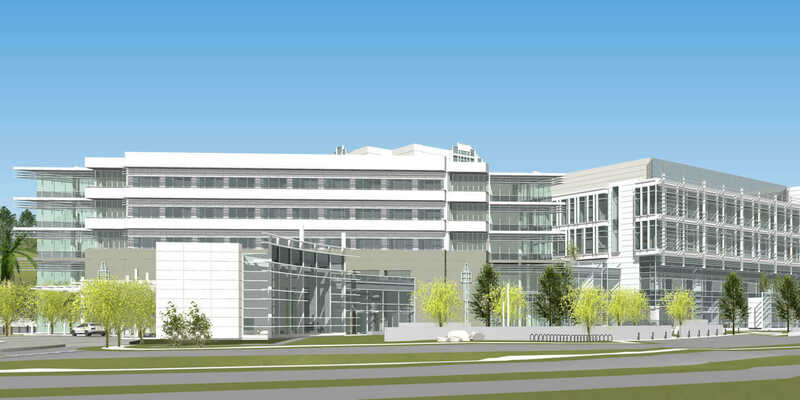 Rendering of the Marin General Hospital roof addition. Courtesy Marin General Hospital. Today, according to Natsch, much has changed. Real-time, true-scale visualization and project-coordination tools are helping general contractors and subcontractors collaborate more effectively. By revealing structural and engineering problems prior to construction—and in front of computer monitors rather than through dusty clouds of Sheetrock—they are leading to higher-quality, lower-cost work. “The easiest way to describe it is that visualization helps invite more response earlier in the building process and elevates issues to the appropriate decision makers,” Natsch says. 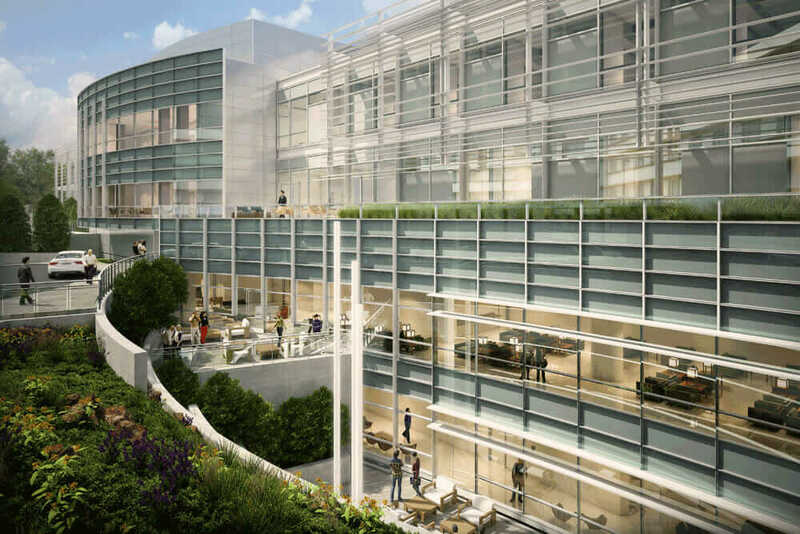 Take McCarthy’s reconfiguration and update of the Marin General Hospital, a 259,000-square-foot addition now underway along the Bon Air frontage in Greenbrae, California. As a partner in the project, Peterson Mechanical, a company that has subcontracted for McCarthy on several builds, used Autodesk Fabrication CADduct and Fabrication CADmep to model the duct and heat-piping systems. These were then loaded into Autodesk Navisworks for viewing and coordination. “Without the technology, it would have been very hard to convince the architect that the ceiling needed to be lowered, and he would have likely not agreed to it, causing friction among McCarthy, the architect, and Peterson,” says Greg Marks, plumbing piping manager for Peterson Mechanical. McCarthy team during a Marin General Hospital working session. Courtesy McCarthy Building Companies. Observed across a large, multicompany project, such labor and time savings add up. In McCarthy’s mammoth, 200,000-square-foot, three-level OdySea Aquarium in Arizona, it’s estimated the use of the cloud subscription service Autodesk Collaboration for Revit, along with BIM 360 Field, reduced the project time by more than 35 percent and saved some 17,000 hours of labor. Cloud-based technology invites all parties to work off the same models at once, helps connect building teams, and brings greater accountability to the building process. For Michael Mutto, BIM Lead at Pan-Pacific Mechanical, that coordination has been crucial on numerous collaborations with McCarthy, including the Lawrence Berkeley National Laboratory and Oakland Medical Center. His job, in a sense, is to build a building before it is physically built. That means integrating the contributions of each subcontractor into a singular, cohesive package—much like a record producer and mixing engineer would mix down multiple audio tracks into a single song. “Each subcontractor details their job in the 3D world, and we use that as a template to build the building,” Mutto says. 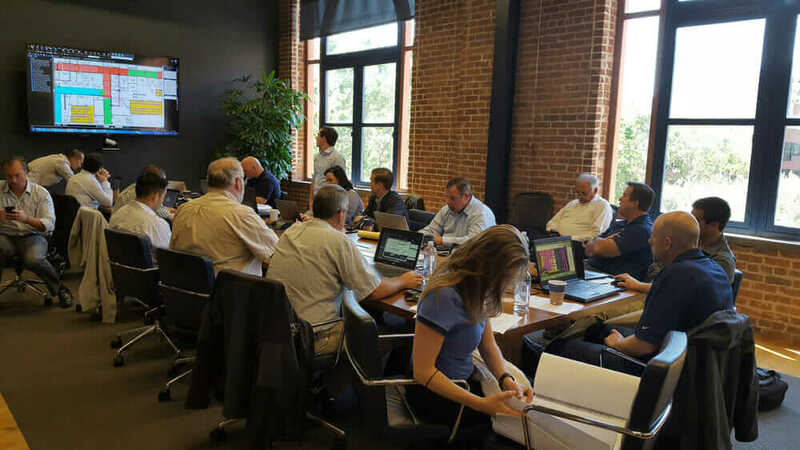 Collaboration tools such as Navisworks and BIM 360 Glue help with workflow coordination, sequencing, and construction layout. All project-building teams can simultaneously review the same file that contains, essentially, the same information. “We’re slowly moving toward a uniform file structure and seeing with each project greater transparency: who’s drawing what, when they’re drawing it, and if they’re meeting their dates,” Mutto says. 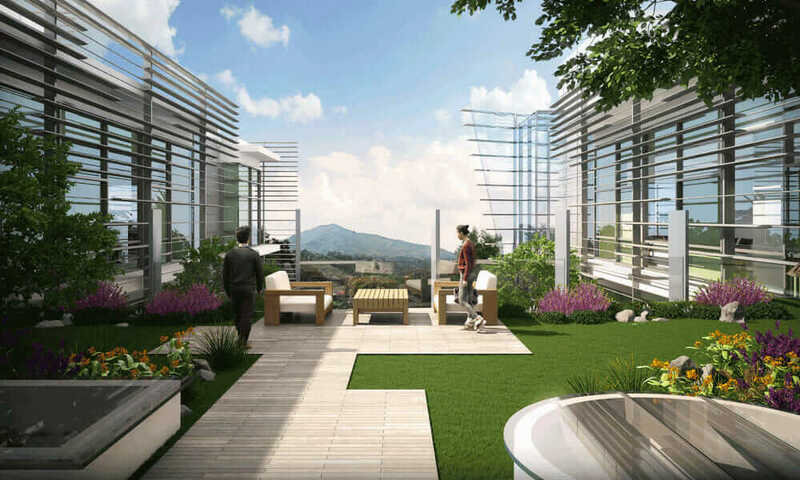 Garden-view rendering of the Marin General Hospital addition. Courtesy Marin General Hospital. He points to the three-story Kaiser Dublin outpatient diagnostic cancer center in Dublin, California. The 60-acre McCarthy project is now underway and includes a radiation oncology department with four linear accelerators and a chemotherapy infusion clinic, on-campus roads, multiple parking areas, and landscaped entry courts and plazas. Navisworks helped ensure the smooth coordination of an intricate, multilayered design. “I can run a clash report between steel and plumbing and find every instance where a plumbing fixture is conflicting with the steel,” Mutto says.